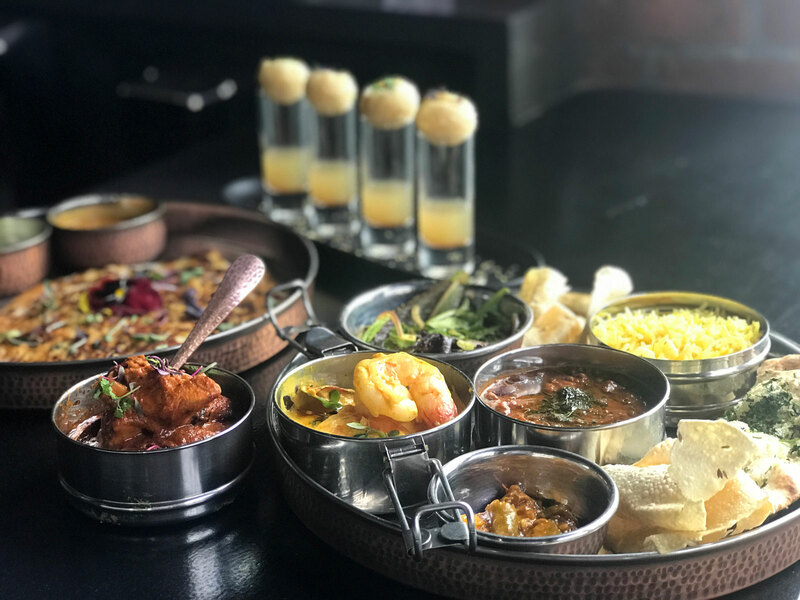 The Santa Monica restaurant showcases dishes from all over India and beyond. “I’ve worked under Michelin-starred chefs and all that, but the most interesting things I’ve learned in life were when I was on the street and working with the people who are making food like pani puri,” says Imran Mookhi, the chef at Tūmbi. 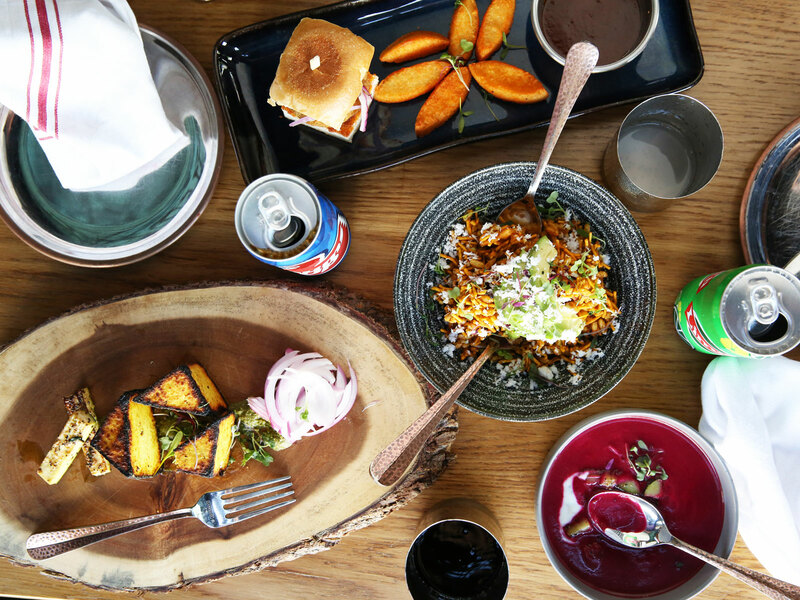 Tūmbi, a modern Indian restaurant that recently opened near the beach in Santa Monica, is focused on serving street food from different regions of India, as well as the Indian subcontinent and cultures that influenced what Indians eat. “Rather than keep it to one region like a lot of restaurants, we wanted to give you the best of each one,” Mookhi says. Tūmbi serves southern Indian dosas, a Goan prawn masala, and northern Indian, Pakistani, and Afghani kebabs. And, of course, there’s pani puri, a popular snack you’ll find in many parts of the subcontinent, with recipes that can vary from area to area. Pani puri is something that Mookhi, who grew up in Pakistan, always eats when he’s visiting India and Pakistan. He’s spent a lot of time learning how to make it from different street vendors. 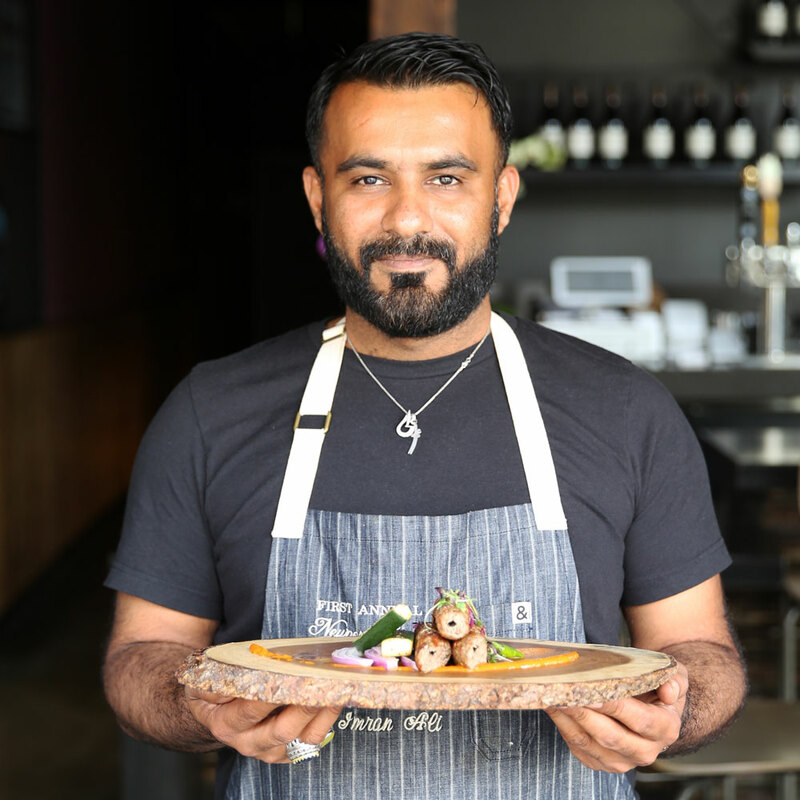 But Mookhi’s version, like everything at Tūmbi, is also influenced by his proximity to the Santa Monica Farmers Market and his desire to cook seasonally and make street food elegant. Tūmbi’s pani puri, a puff pastry with mung beans and chickpeas, is garnished with local microgreens and placed atop a little glass with tamarind-mint water. You grab the pani puri, pour the liquid into it, and then eat the pastry in one bite. It’s a nice balance of savory, sweet, sour, spicy, and crunchy. They want you to use your hands to eat, which is how a lot of Indian street food is consumed. The idea is to create a transporting restaurant that evokes bazaars where people shop and snack. As Singh and Mookhi both point out, these bazaars combine farmers markets and street food in tremendous ways. What Mookhi and Singh are doing with Indian food is exciting because it’s similar to what Bryant Ng is doing with Southeast Asian food at nearby Cassia in Santa Monica: They’re using their heritage as a starting point to explore bold flavors and color outside the lines. Tūmbi’s Lahori fish fry is inspired by a dish often made by Singh’s grandparents, who were born in what used to be India and is now Pakistan. The fish is served alongside idli, a South Indian rice patty that’s chopped up into fries. 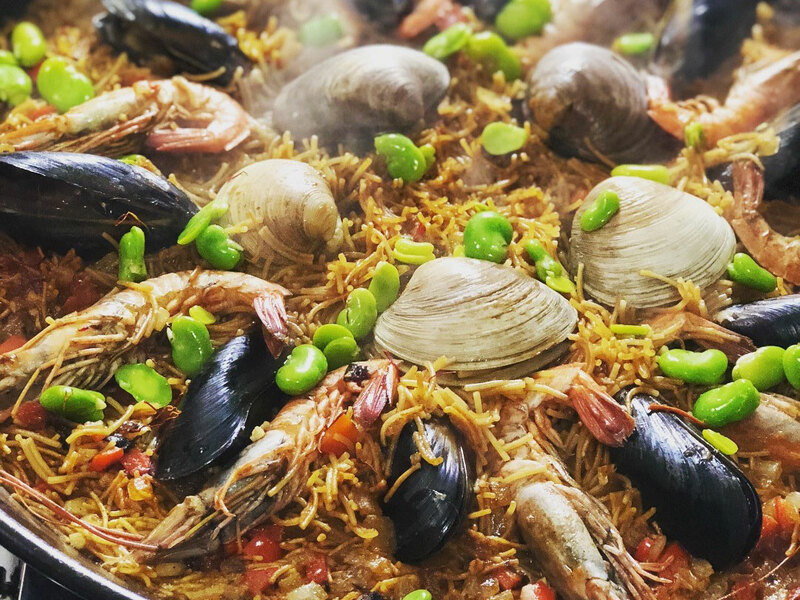 It’s a good example of how Mookhi, who previously cooked at the Newport Beach outpost of London-based, Michelin-starred Tamarind, is blending influences and having fun at Tūmbi. Singh and Mookhi want to avoid the typical chicken vindaloos and kormas that other restaurants make, but they’re showcasing local ingredients in dishes like their version of a korma with farmers-market mushrooms and cashew paste. And why not order an off-menu dosa that’s about two-and-a-half-feet long? The family-sized dosa is bigger than the width of your table. You eat the oversized rice-and-lentil crepe with your hands, of course. Singh and Mookhi also get ideas from their proximity to the beach. Tūmbi’s Chilean sea bass masala is inspired by the food in coastal Kerala, and Singh thinks a dish like this makes perfect sense near the Santa Monica waterfront. “The menu’s going to change seasonally, just like menus do in India,” says Singh, who adds that Tūmbi might add scallops to the menu. Tūmbi is focused on what people actually eat in India, so there’s a superb butter chicken but no chicken tikka masala on the menu. 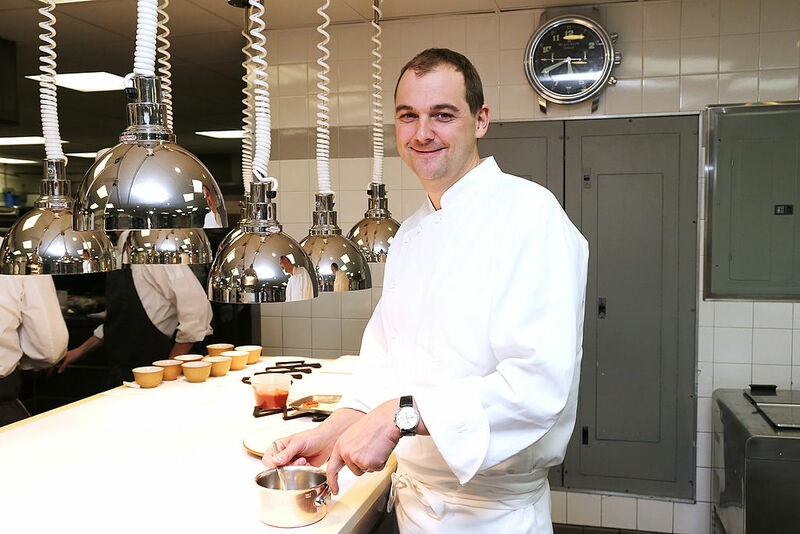 5 Reasons Why the Michelin Guide Should Return to L.A.